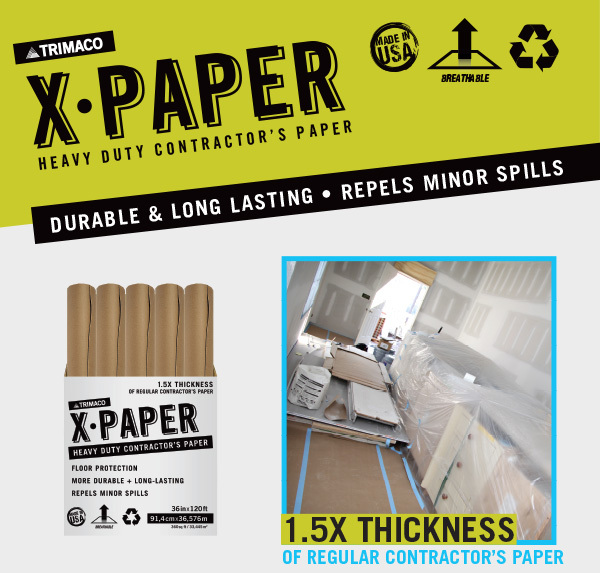 Trimaco’s X•Paper is thicker than Builder’s and Red Rosin Paper. Although tough, it is breathable enough to allow floors to continue the curing process. It provides superior, heavy duty floor protection.